I'm a little surprised how easy it was to put this Reading on a Theme together. All of the main characters in these books have a closer connection to the funeral business than most. Turns out growing up in a funeral home or cemetery or attending your own funeral makes for a very interesting novel. Growing up in a funeral home and being saddled with the nickname Graveyard Gabe has made it difficult for Gabe to make friends. Bree is her one true companion until she starts dating the very boy that gave Gabe her hated nickname. How can Gabe be a good friend when Bree is making decisions that Gabe is certain will have dangerous consequences? And why has Bree gone MIA just when Gabe needs her advice to navigate her first boy/girl relationship? Jolene Perry's novel about what true friendship means and how to confront death and keep on living is a story with plenty of quirk and lots of heart. 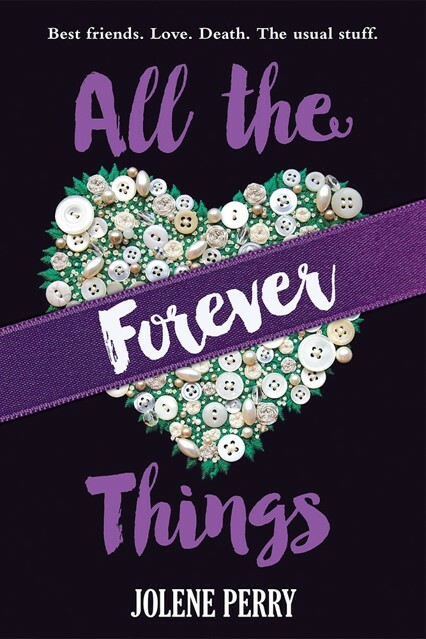 All the Forever Things is out April 1st. Review copy from NetGalley. Leigh already felt like she was an agent of death before her father went and bought a cemetery. Now that she's working for the family business dealing with burials and grieving families everyday that whole agent-of-death-thing is feeling truer than ever. Six Feet Over It is equally tragic and poignant. Leigh, in dealing with her past and the death around her, must come to accept death's place in life. It's not an easy lesson, and at times I felt like I was wading through Leigh's depression with her. Dario is the little piece of light, but you worry that Leigh's feelings for him might end up crushing her even more. Jennifer Longo's book is very character driven. As a reader you ache for Leigh to pull it together and reach out. In the end, I think Leigh will be okay. Denton has always know what day he would die. Everyone knows their deathdate. And, although Denton will die when he's only 17, he's done his best to have a normal life. 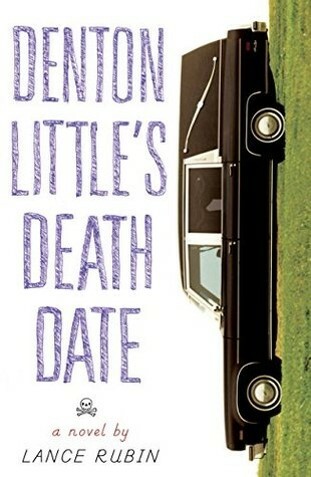 Denton Little's Deathdate begins in the early morning hours on the day before Denton will die. Denton thought he was prepared for death, but it turns out that giving your own eulogy at your own funeral and attending your own sit-in is pretty weird and kind of uncomfortable. And, as the hours tick closer to the close of the Denton's deathdate, the carefully crafted threads of Denton's life begin to completely unravel in ways that are both hilarious and painful. Lance Rubin's book is so crazy and awfully funny. Lily Graves lives in a funeral home with her mom, aunt, and oma. She fully intends to take over the family business someday. Lily is one spoke of a love triangle that includes Matt, a popular jock, and Erin of high-school royalty. Erin is murdered and all the evidence seems to point to Lily and Matt. So Lily and her best friend and true crimes lover, Sara, set out to clear Lily's name. 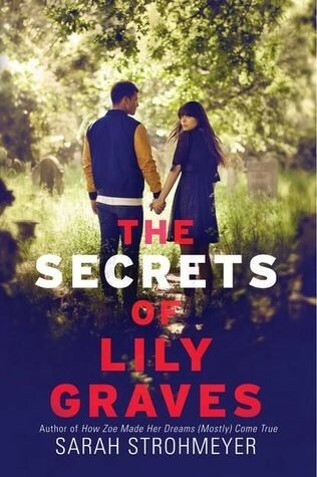 The Secrets of Lily Graves is a book that you can't say too much about because it's best to avoid all possible spoilers. I will say that Lily is a great character. Her quirks make her interesting, but she's also incredibly likeable and a fantastic narrator. Sarah Strohmeyer's mystery is nice and twisty. I thought I had it all figured out early on, but I was wrong. This is the story of Nobody Owens. Although he is human, he is raised in a graveyard by his adoptive parents who are ghosts. With his parents and guardian Silas watching over him, Bod meets lots of ghosts, discovers the secrets of the graveyard, and is learns to Fade and Haunt. 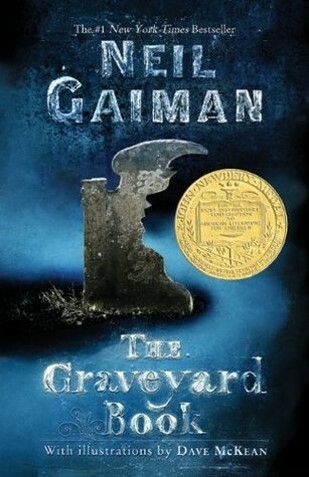 The Graveyard Book is like a book of short stories about Bod's life, the crazy characters he meets in the graveyard, and growing up among the dead. These short stories are woven together by the end of the novel as we see characters and situations come back to play a major role in Bod's escape from the man Jack. I love Neil Gaiman. His books are so creative and just the right amount of weird. All books review by JoLee.